Finding the perfect swimming pool design for your backyard encompasses so much more than choosing between size and shape. A pool’s quality ranges based on water, technology, and overall functionality. 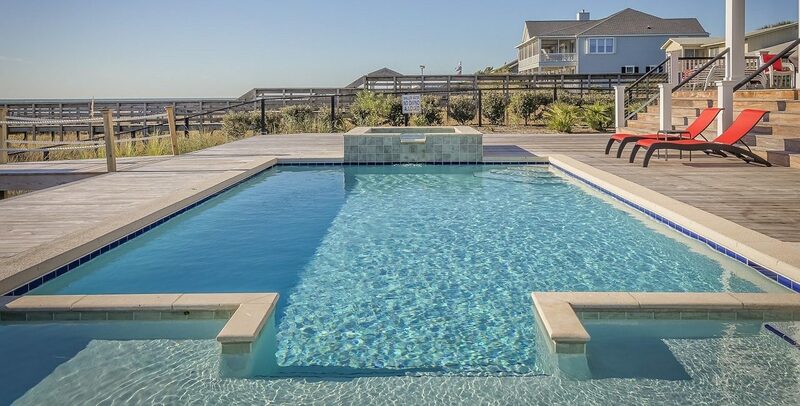 But with so many customization options, how do pool owners hope to pick between pool designs? 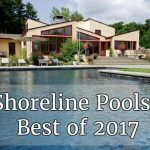 When it comes to this difficult choice, Shoreline Pools has the inside scoop on the best styles and features. Here are some tips pool owners can consider when building their dream pool. This may come as a shocker, but water remains the most obvious and essential element of your pool. The type of water in water your swimming pool produces different benefits. First, you must choose between fresh or saltwater. Depending on your location and lifestyle, both have advantages and disadvantages. For freshwater pools, most owners either use city water, well water, or transported water. City water gets pumped directly to the house from a main water supply, similar to your backyard hose. The water quality will range based on the size of the city you live in and the amount of taxes your city has allocated towards maintaining water cleaning services. Well water pumps from the well on the pool’s property. Well water is the most cost-effective method to fill your pool but also contains copper and iron. Hard water (or water with a high mineral count) may damage the pool in the long run and will need to be treated consistently for swim use. Transported water gets delivered to the home by a specialized company and makes pool filling a hands-off and easy process. This is the most expensive method to fill your swimming pool. In-ground pools contain both skimmers and main drains which work to keep pool maintenance costs low and your pool clean. Skimmers remove any debris such as dirt, oil, leaves, and bugs away from the larger pump. Most pools have at least two skimmers. The main drain, located in the deepest part of the swimming pool, pulls water off the bottom and helps prevent the pump from running dry, keeping your pool operational. Within a pool filtration system return jets are a component used to filter water. The mechanism increases the circulation of the pool water, keeping it from becoming a disgusting, stagnant swamp. The pool pump draws water from the pool and then returns it back, creating a small current. Sand Filters remove the dirt and debris as the water pushes. Sand filters are the least expensive option and require minimal operational experience. They tend to last 5-8 years depending on the usage. Diatomaceous Earth Filters trap the smallest particles in your pool and generally remain the most efficient pool filters. Cartridge Filters removes twice as much dirt and debris as Sand Filters and never backwash. Typically, above -ground pools and small pools utilize these filters. They are not recommended for large pools. Whether you are a new pool owner or are redesigning an existing pool, learning the various parts of a swimming pool are important. Choosing a pool design requires decisions regarding water type, selecting the right filtration systems, aside from shape and features. For residents of New York and Connecticut, learn about your pool design options, contact a top pool installation and service company near you today!